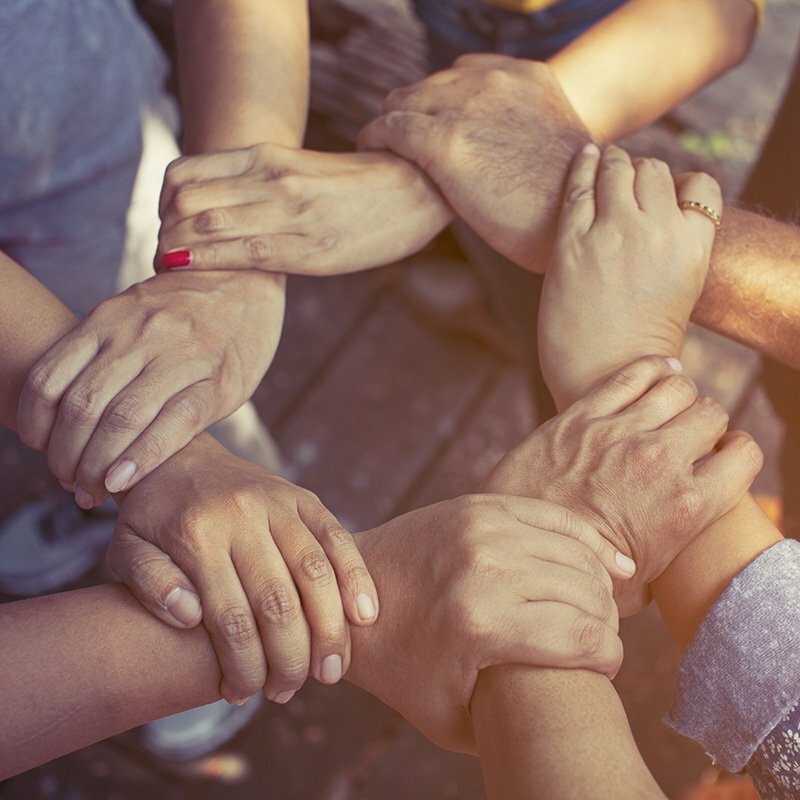 Celebrate a change in status by gathering your community to hold space for you and share in your joy. Let’s work together to create a ceremony that accurately reflects your personality, beliefs and values. There are so many creative options I would love to tell you about, and ways to let your Love Story shine through. Not to mention fun rituals like Handfasting, Ring Blessing, Flower Circle and the Rum Barrel ritual! 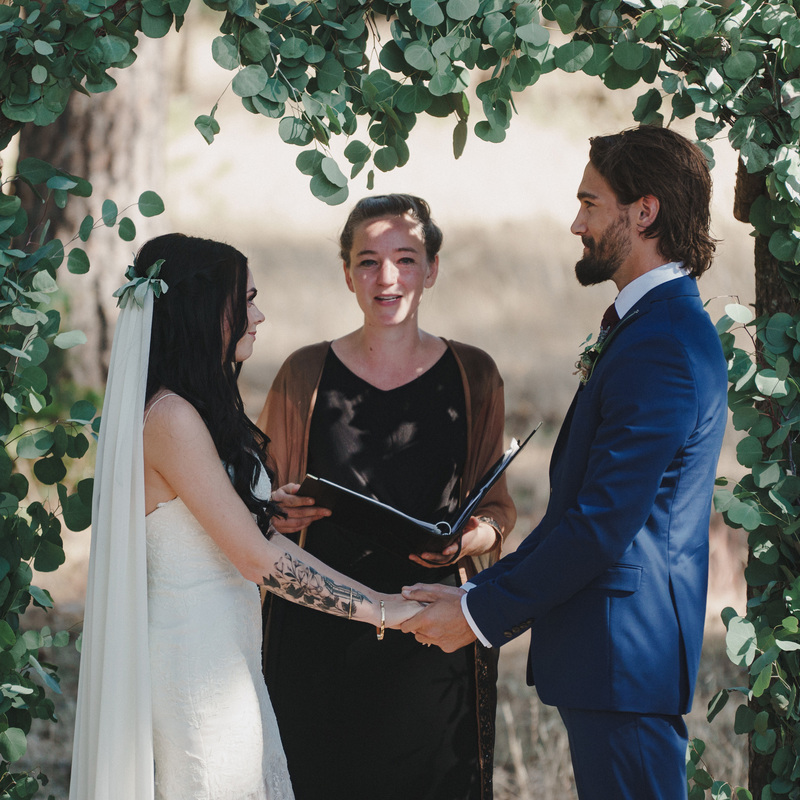 This ceremony sets the tone for the rest of your life together, and sweeps you and your guests up in a bubble of love, connection and joy! A chance to gather with the important women in your life to honor and acknowledge this major transition in your status from maiden to wife. Take time out in the week before your wedding with this special ceremony to reflect on the threshold you stand upon as you prepare to step out of your past and into your future. This is also a deep and powerful way to connect with your bridal party & create feelings of love, hope and joy leading up to your ceremony. This is one of my favorites! It’s a super special ceremony in your honor, where you gather the closest women in your life to support and empower you as you prepare to cross the threshold and bring back new life. 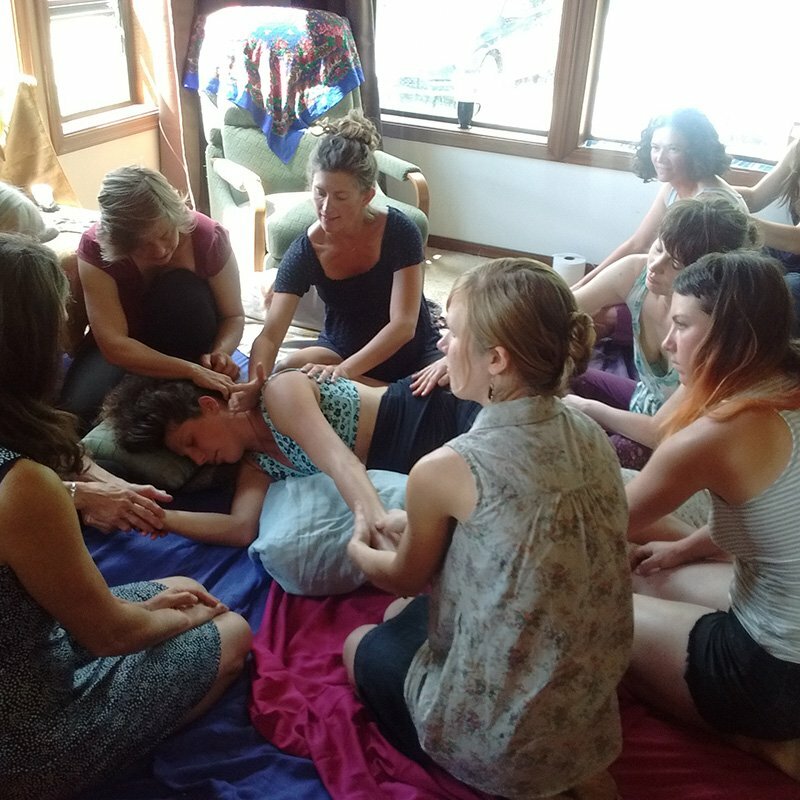 It’s like a mother-centered Baby Shower, with a focus on filling the mama-to-be up with love and connection as she gets ready to give birth. When someone comes out or transitions to their true gender, this is a huge, life-defining moment! Holding a special ceremony is a way to mark this change and to fill the person up with the love and support of their community. It is a chance to acknowledge the courage and vulnerability this person has shown, and to celebrate the beauty of who they are! 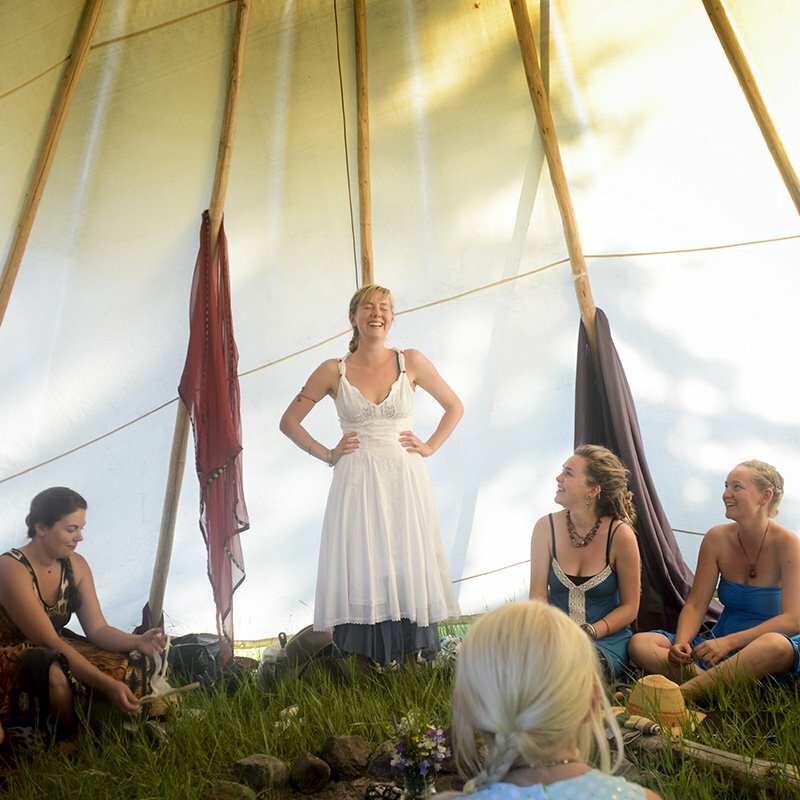 A special ceremony for a young woman to initiate her into sacred women’s mysteries. 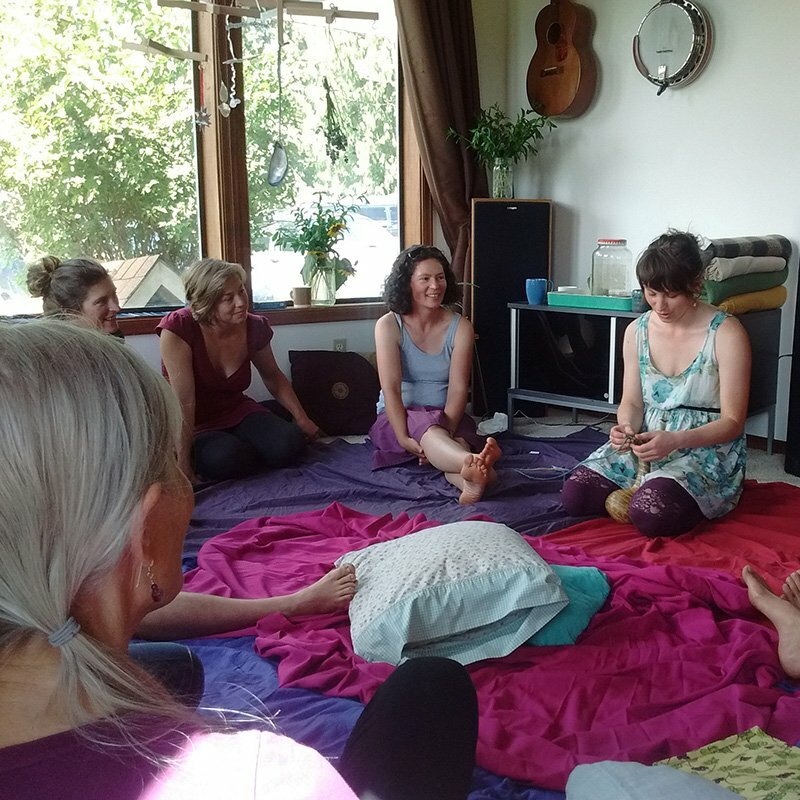 This is a chance for her to connect with wise women in her community and other friends her own age, to honor and celebrate her path as a woman. May include singing, meditation into the Cave of Women, the Red Yarn ritual, and the Flower Blessing Ritual. Each ceremony is specially designed for the unique young woman being honored. I am passionate about marking the transitions in our lives with ritual and community! Ceremonies have the power to create healing, celebrate love, acknowledge our changes and prepare us for challenges, and the best part is personalizing them to YOU and your journey. Other ceremonies include Baby Namings, Adult Name Change, Girls First Moon and House Blessings. If you have an idea for a ceremony that is not shown here, please contact me to see what we can dream up!